D-I-V-O-R-C-E. No one ever wants to face this nasty word but unfortunately, it is something that sometimes cannot be avoided. If you are in the process of a divorce, you know that there are a lot of factors to consider while going through this difficult time in your life. Whatever you do, do not do it alone. Enlist the help of a qualified divorce attorney in Philadelphia. Chances are, there will be a lot of issues involved and you do not want to go through this process alone. Last week we discussed the idea of a prenuptial agreement before getting married whether it be the first marriage or second or third. A prenup will help protect assets you had prior to the marriage and if done correctly, can make divorce a smooth transition. However, most couples don’t plan on getting divorced and so they think a prenuptial agreement isn’t necessary. 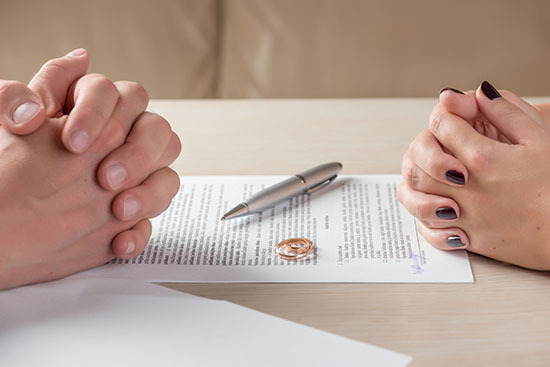 If you found yourself in the position of not having a prenup, you need to understand what your divorce papers hold in store and what they mean for your future and for your children’s future if you have any. Marriage is an easy process with just one piece of paper to sign. Separation of a marriage is much trickier and holds a lot more paperwork. You have to fill out forms for the divorce, alimony, child support, division of property, etc. It is a very long and tedious process. This form identifies the parties involved and that the marriage is broken. It is basically the request to the courts that they grant permission to file for divorce. Most marriages have combined assets and property. This form spells out the terms of the division of the marital estate. This form can be written up before or after the divorce is filed. If children are involved, this form is used to determine the child support terms and amounts. This document essentially ends the marriage and is filed with the courts. After the divorce is granted, this form is used to record the divorce. It is filed with the courts, the marriage is legally dissolved and recorded for future records. Divorce is a complicated, paperwork-laden process. No one should attempt to do this alone. Finding a qualified divorce attorney in Philadelphia should be your first step. They will guide you on the proper steps to take given your specific circumstances. Martins Mill Legal Center specializes in all areas of family law. If you are facing any difficulties in your family life or just need advice on the next steps, we can help you in every aspect of your life.